I can never decide if I like Spring or Summer the best. All of the seasons have their benefits of course, but Spring brings baby birds and Summer means eating my favourite vegetables straight from the backyard. 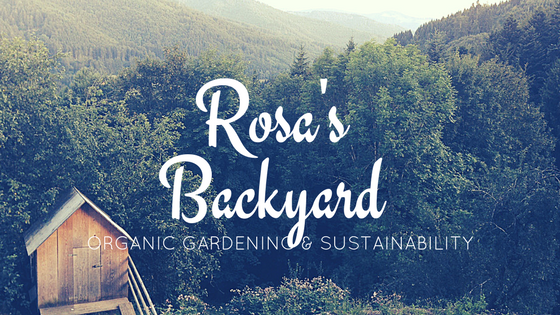 Speaking of, let's see what's growing in Rosa's Backyard for the Summer month of January. Carrots and parsnip pictured above, with netted strawberries on the top tier. 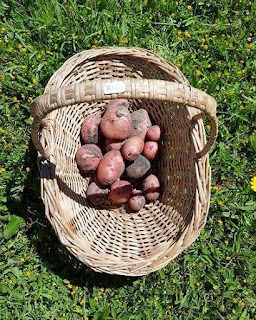 I dug up the Pontiac Potatoes a little early as the plants died off, the rest of the varieties (kennebec, dutch cream, nicola and salad rose) are in full bloom. You'll also see some corn, tomatoes and beans in the making. I haven't gotten around to taking pictures of everything, but stayed tuned on Instagram (@rosasbackyard) to view some onions, chillies, gooseberries, blueberries, strawberries, lemons, oranges and lots more! What are you growing this month? Let me know in the comments!